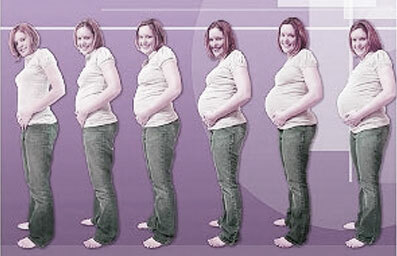 Your baby is about 7 1/2- 8 inches in length (crown-to-rump) in pregnancy week 21 and weighs about 10 ounces. Your baby’s bones are growing harder, stronger and ossifying. Arm and leg movements will increase and become more coordinated now as the muscles strengthen. Your baby should be moving vigorously by now, with lots of amniotic fluid to provide plenty of room. Your baby’s sleep and wake cycle may be getting more predictable as the weeks progress. Your baby’s brain is growing at a very fast rate and the immune system is beginning to develop, as white blood cells are created. At this point in your pregnancy, you have probably gained between 10-14 pounds so far. 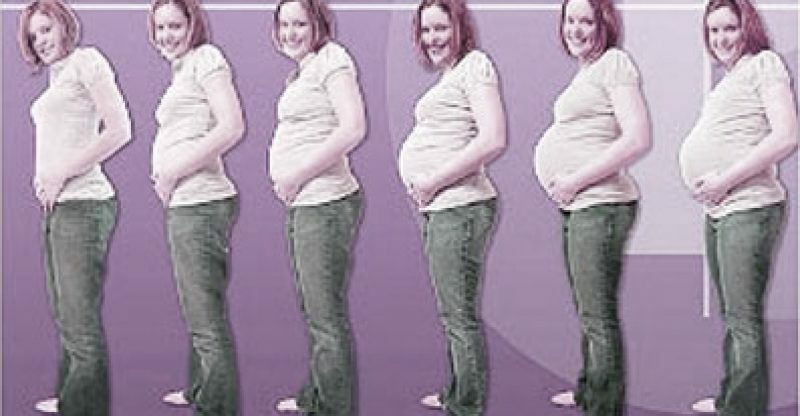 Your uterus is growing and taking up more room now, crowding your other organs. You may have trouble breathing from this point until your baby drops, since your uterus is pushing up against your lungs and diaphragm. You may experience leg cramps, especially at night. It might help for you to stretch your legs before going to bed. Mild swelling in your legs and feet may also occur now and get worse after standing for long periods and also during warmer weather. Make sure you drink an adequate amount of water and take the time to sit and elevate your feet.